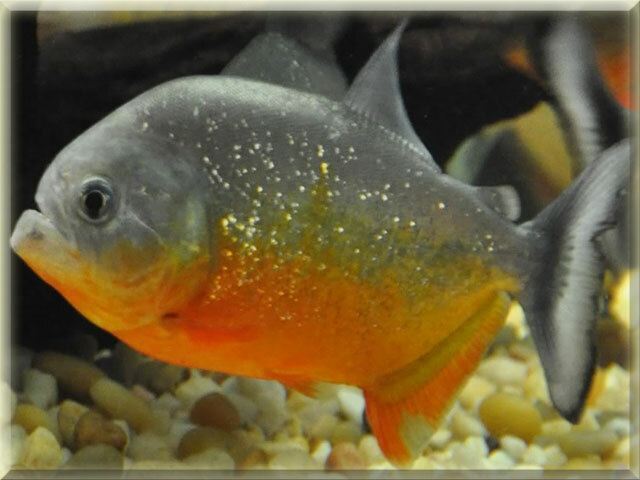 Some piranhas like yellow king piranha are omnivorous and eat more seeds than meat. The Piranha fish is a ferocious, schooling, fresh water fish native to warm rain forest lowland streams and lakes in South America. ⧪ Yellow King Piranha are South American fish with razor-sharp teeth and a reputation for feeding frenzies. ⧪ Piranha fish are commonly consumed by fishermen and frequently sold for food in local markets. ⧪ In recent decades, dried yellow king piranha specimens have been marketed as tourist souvenirs. ⧪ The Yellow king piranha top and bottom teeth work together like scissors to cut up food. ⧪ They lose and regrow teeth, much like sharks.